THIS IS A MUST SEE!! This renovated western facing extra-large space (one bedroom with interior suite/second bedroom and home office) which can be converted into a 3 bedroom loft is over 2,000 sq ft of luxurious living with soaring 13 foot ceilings . The upgraded kitchen and island will have you in awe as it welcomes you into a beautiful space perfect for entertaining or a quiet night at home. This one of a kind unit has the largest living room in the whole financial district, a nicely outfitted home office and separate reading nook to meet all of your needs. The Hardwood Maple floors unify a spacious, open layout that is beautifully finished with no attention to detail spared. The entry foyer has been outfitted to include a mud room and additional storage leaving no stone unturned and no wasted space. Top of the line appliances include Bosch range, convection oven, dishwasher and updates Bosch washer & dryer, plus a Jenn-Air refrigerator with extra storage. The two large bathrooms feature the best finishes and fixtures including additional built in storage. Massive private storage available on the same floor. The unique 15 Broad lifestyle affords residents an impressive list of white-glove amenities such as a highly- attentive doorman, staff and concierge; dry cleaning, laundry and housekeeping services. Residents also have access to the building's swimming and reflecting pools; a fully-equipped fitness center; yoga/ballet room; basketball and squash courts; theater, bowling alley; business center; sports lounge; recreation and children's rooms; and an incredible 5000-sf roof terrace. 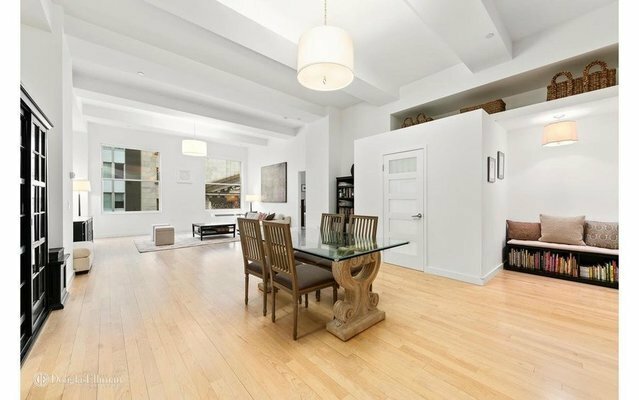 Its prime location puts you amid a wealth of subway transportation and area conveniences.